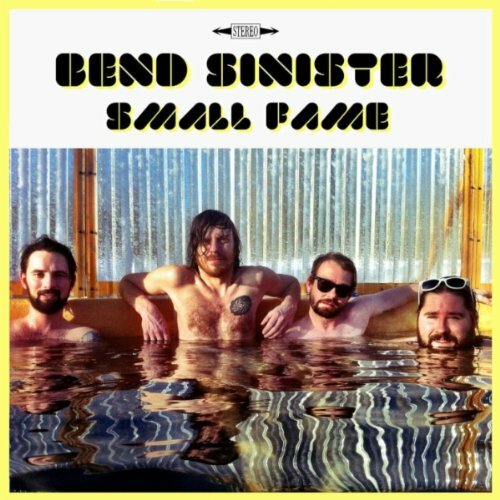 The members of the band Bend Sinister took their name from a book by Vladimir Nabakov about a nation where the government’s one requirement is that everyone is ordinary and no one can be spectacular. It’s an odd source of inspiration, especially for a band that is anything but ordinary who just released a new album that is pretty darn spectacular. The new album, Small Fame, is full of energy and exuberance. Formed in British Columbia in 2001, Bend Sinister bears more resemblance to British indie-rockers than anything else. Frontman Dan Moxon’s theatrical vocals have a twang to them, sometimes similar to that of Luke Pritchard of the Kooks or Matthew Murphy of the Wombats. The rest of the band sounds relatively similar to these Brit poppers, too, with lots of pianos and cheery drums. She Don’t Give Up, the opening track on Small Fame, is driven by a soulful piano rhythm and Moxon’s jolly and fun words. Track four, One Shot, more or less the entire album in a microcosm. It’s chock full of the electric guitar and keys that make this album what it is. Moxon plays with his voice, breaking out into a falsetto at points. It is a bit slower and not as danceable as some of Small Fame’s other tracks, but a star nonetheless. Near the end of Small Fame is Black Magic Woman, a 70’s inspired glam band-esque jam about a woman that is making a fool out of all of us. It’s a theatrical and glitzy song that features a screeching organ solo midway through as Moxon laughs and howls. I must admit, it’s kind of weird, but also kind of genius. The rest of Small Fame falls somewhere between the glam of Black Magic Woman and the poppy sound of She Don’t Give Up. There are a few low-lights, like the funky yet overly-repetitive My Girl, but some parts are even so good that the creativity-hating government in Nabokov’s government might have to allow it.